Can we improve nutraceutical bioavailability of curcumin ? Let it be Indian, Afghani, Cambodian, Vietnamese, Nepalese or Thai cuisine, Turmeric (Curcuma longa) is an integral part of all of them and many more! Turmeric is widely used in food preparations as a spice, pigment, and nutraceutical because of its characteristic flavour profile, yellow colour, and biological activity. Turmeric is not only an essential ingredient in food but also a very important component of many formulations in medicine owing to the potential health benefits it offers. Have you ever wondered what gives turmeric the power to do so? Curcumin is one of the most biologically active components within turmeric. The potential health benefits and good safety profile of curcumin makes it an essential ingredient in functional food products as a nutraceutical ingredient. However, the high melting point and poor water solubility of curcumin make it difficult to incorporate into many functional foods and beverages, and its poor stability in vivo and low bioaccessibility within the gastrointestinal tract reduce its biological activity. The strategy that is widely used to address these shortcomings is to encapsulate it within food-grade delivery systems such as nanoparticles, hydrogel beads, emulsions and suspensions which help in shielding curcumin on its way towards the target resulting in improving its functional performance. Can there be an alternate strategy? In their search for the answer to this question, Wei Liu et al. form Nanchang University and David McClements et al. 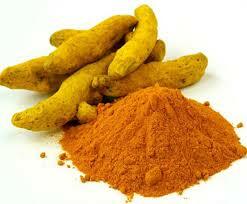 from UMass, Amherst have devised a strategy to develop excipient foods that are consumed with curcumin-rich foods. Oil-in-water emulsions turned out to be better candidates for developing excipient foods. 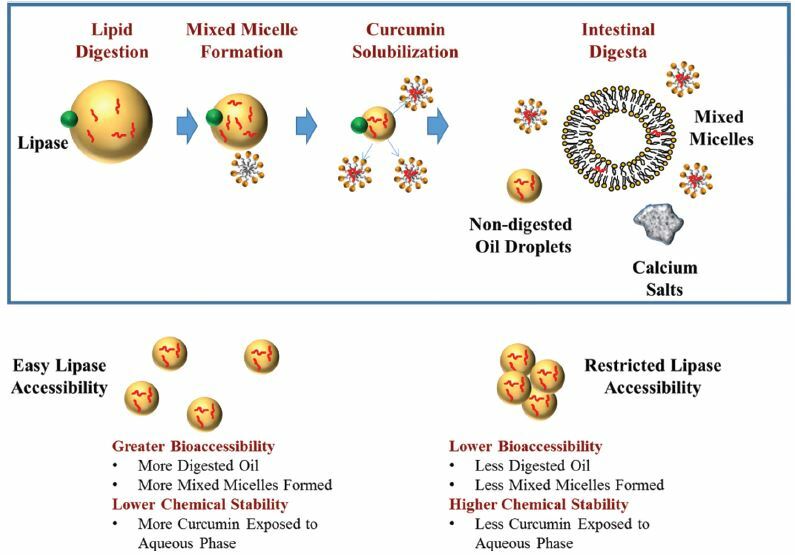 The study involved the influence of emulsifier type on the ability of excipient emulsions to solubilize curcumin, and to increase its bioaccessibility. In their recent article in Food & Function, they have discussed the rational design of excipient emulsions by varying the emulsifier type as well as the preparation conditions of emulsions, and the effect of these emulsions on the fate of curcumin in simulated gastrointestinal digestion. A schematic presentation of fate of curcumin under different emulsifying conditions is shown in the figure below. Is honey able to potentiate the antioxidant and cytotoxic properties of medicinal plants consumed as infusions for hepatoprotective effects?